1. Pallas quindecile Jupiter, trine Pluto (via Sun), and conjunct South Node. 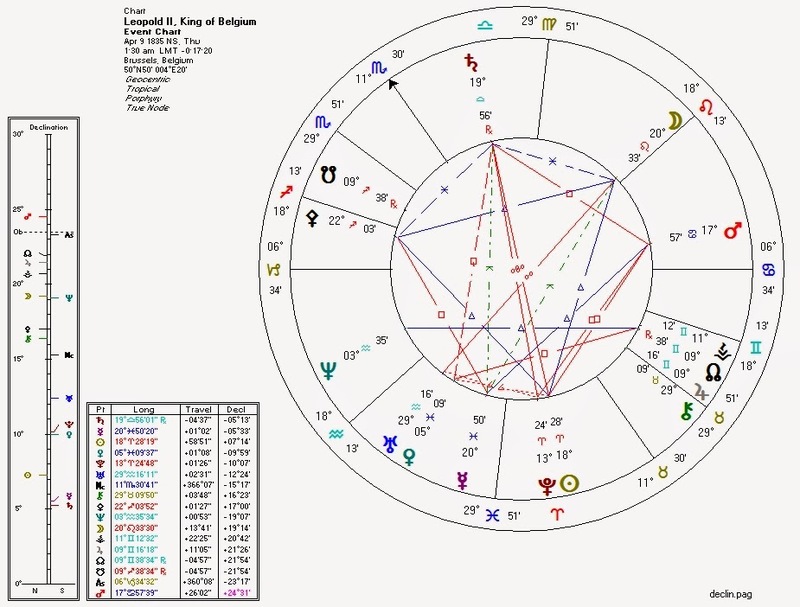 The South Node conjunction appears weak on the natal chart, but progressed Pallas was retrograde for virtually Leopold's entire life and the distance closed by progression as he aged. The older he became, the weaker the ethical anti-violence effect of Pallas on his chart became. 2. Venus in Pisces (ruled by Neptune). Bloodbath Formula natives in most cases are perfectly peaceful and productive citizens... when far from the corruptive power of the State. When given the power of life and death over their fellow humans through the unnatural edifice of modern government, they often become monsters.